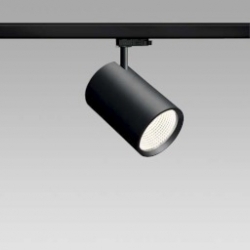 Suno is a high performance luminaire with a clean and timeless design. It’s compact structure with efficient thermos management combines a high lumen output with a harmonious integration into the architecture. Our further development of Navo is now even more efficient and hence sets new standards for appealing and economical aisle area lighting, equally suited to Food & Non-food. Larger sections of shelves can also be efficiently and economically illuminated. 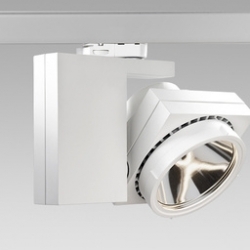 Navo is available as spotlight and recessed spotlight each with directional or double-directional washer. 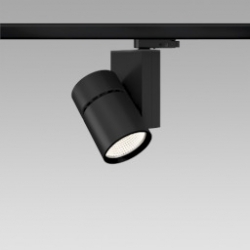 In addition a spotlight wall washer for high decorations and a downlight for general lighting is available. 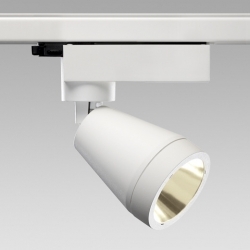 With a functional, minimalistic shape and great technical flexibility, TECNO spotlights are ideal for numerous lighting tasks. The TECNO range is supplemented by various accessories such as color filters, honeycomb grids and barn doors. With pared-down shapes and functional flexibility, the BRICK spotlight range permits a large number of design and lighting schemes. The spots can be turned through 360° and tilted 90° and hence it is possible to illuminate the whole room, the light reaching almost every position in it. Through the different beam angles BRICK can be recommended both for ambient and accent lighting purposes, in shops and stores as well as for transit zones in public buildings. 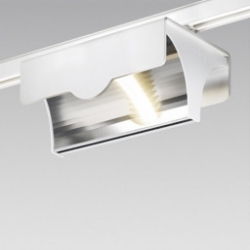 The surface-mounted spotlight Bit is a very economic and efficient spotlight. The neutral, unobtrusive use of shapes makes it possible for Bit to be used in a variety of ways. 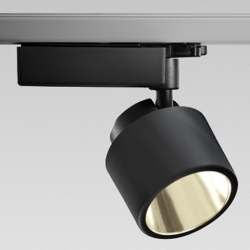 The spotlight TAKE embodies modern, sophisticated design and brilliant light quality. 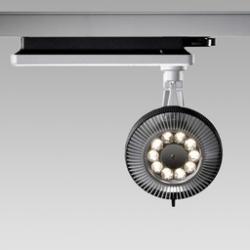 Innovative convex facetted reflector technology provides TAKE with very high operational efficiencies and produced brilliant, non-glare presentation light. 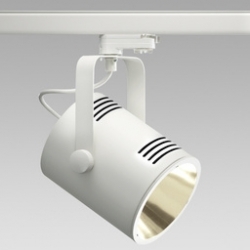 The horizontal arrangement of the ballast housing and the lighting head makes the spotlight, with its very low mounting height, appear compact and, at the same time, light. Not least, TAKE impresses with its ease of maintenance and user-friendliness.